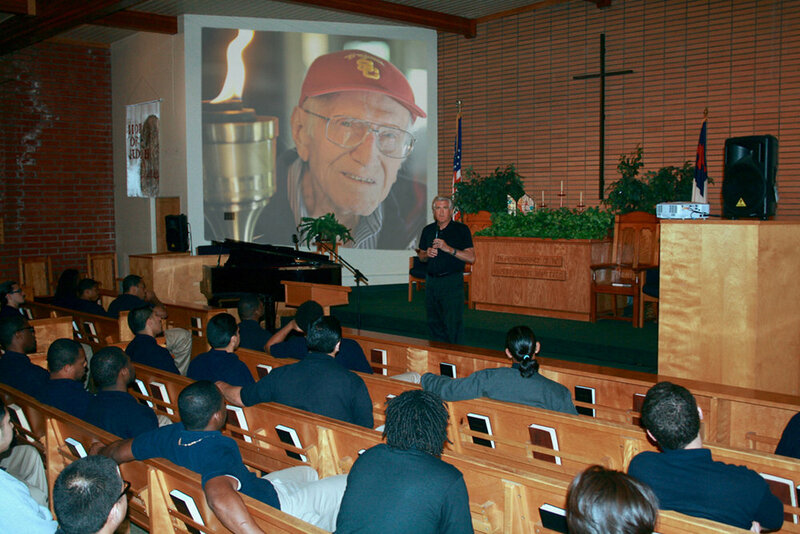 This dynamic new learning experience teaches high school students to emulate the life skills of Olympian and World War II hero Louis Zamperini in building character, overcoming adversity and resolving interpersonal conflicts. Its four year public school pilot program demonstrated a significantly heightened level of student-to-student empathy and bonding that drew in even at-risk and “lone wolf” students. Anecdotal evidence indicates a reduction in bullying and overall school violence, and a newfound cohesiveness among students. • For over 65 years, the incredible story of Louis Zamperini has provided youth with a ‘real-life’ example of overcoming hardship through a transformed life providing kids with HOPE. To quote one 14 year old student, "Your story resonates with me so much because it is the story of life after hardship, forgiveness after pain, belonging after losing oneself. Whenever I am in a tough situation, I will ask myself, 'What would Louis do?'" • We are continuing to bring Louis’ story to youth today by reaching students in public and private high schools as well as at-risk youth in Foster Care programs, Youth Correctional Facilities the National Guard Youth Challenge Program, and Inner City Camp Programs. Luke and Lisa join excited (and tired!) 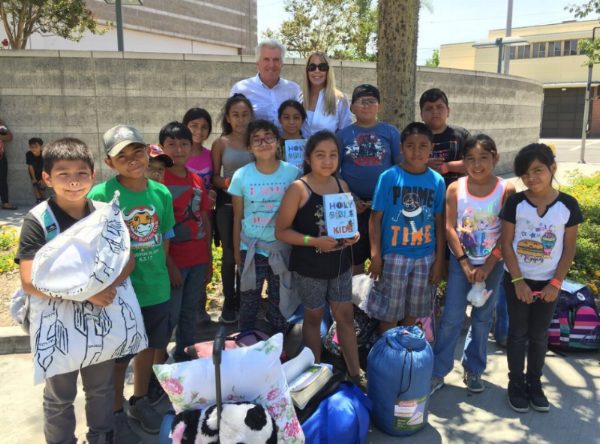 campers as they return home from their first camp experience at Forest Home Camps! Your contributions ensure life changing experiences for our youth! Every dollar helps provide access to books, curriculum, day camps, mentoring, and a path to redemption!